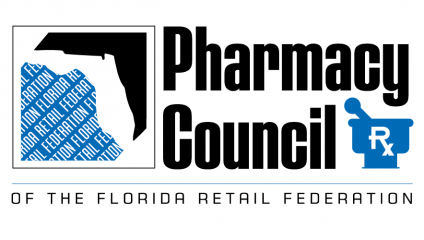 TThe Florida Retail Federation is the ONLY advocate for pharmacy retailers at the Florida Capitol and an influential voice with legislative and regulatory agencies. The Council works for its members year-round to expand the scope of practice for pharmacist, decrease any over-regulation, and promote policies that increase access to healthcare. Members benefit from our influence on the passage of positive pharmacy-related legislation and, most importantly, we are there for you working to defeat legislation that could negatively impact your business. FRF represents the Council at the Board of Pharmacy as well as at regulatory agencies during rulemaking. Additionally, your membership gives you the opportunity to help determine what legislative and regulation changes FRF and the Pharmacy Council can fight for to help ensure your business is successful. Membership entitles you to a seat at the table and to receive exclusive information on the issues and events that are important to the pharmacy industry via regular emails, statewide meetings, as well as a staff member available to help you with issues or answer questions you may have.